If you are looking for a cheap, quick, easy and efficient way to get your home cleaned and keep it that way, you need to call us. We are a renowned cleaning services provider for the entire North West London and we have the right cleaners for the job. We are offering you to hire our experienced, vetted and hard-working house cleaners to help you with your home’s cleanliness. We promise you will not regret your choice, if you choose our house cleaners. Call us now. Our company is known to be a champion when it comes to cleaning services. We have proven ourselves to many people and we can prove ourselves to you, too. All you need to do is call us and make an appointment and to provide the cleaning products, of course. The rest is our job. Feel free to give us a call right away. Our company is an experienced cleaning services provider and we take pride in our unmatched house cleaners. We guarantee you they are the best in North West London. They are hard-working, experienced, skilled and professionally trained to deal with all kinds of cleaning challenges. 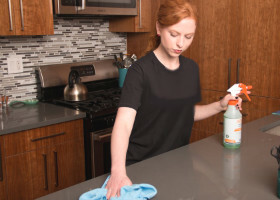 When you choose our company you are making the smartest choice and you are choosing a high-quality cleaning service, done by true professional house cleaners and for a very reasonable and economical price at that. So hurry up and give us a call now and make an appointment with our house cleaners. We guarantee you your home will always be flawless when our house cleaners are taking care of it. Our phone assistants will help you choose an offer that best suits your needs and will help you with the booking process, call us now.